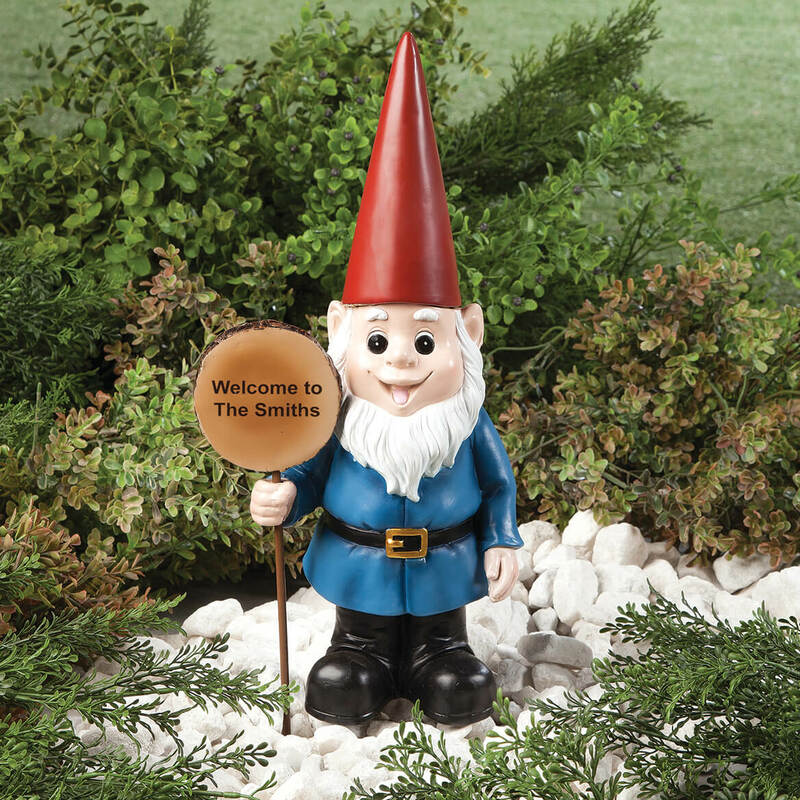 I have the gnome set in my new made over perennial garden along with my other gnomes. It is known as my gnome perennial garden. I stop and admire whenever I walk past it. I found this item to be so cute I had to have it in my garden for others to see.. I wanted to highlight my family's three community garden plots. BEST ANSWER: Thank you for your question. 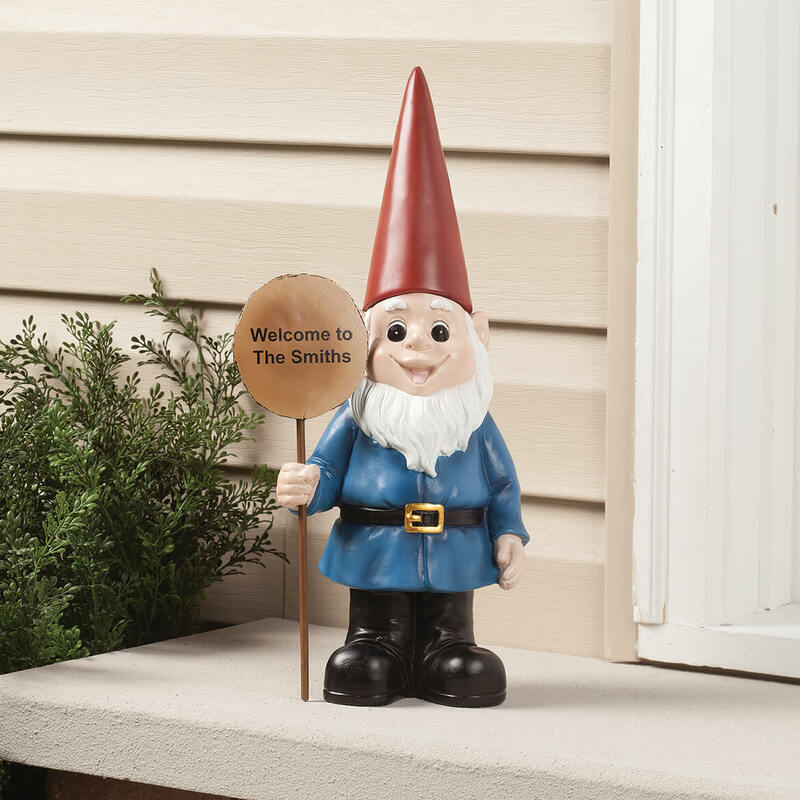 Gnome: 6 1/2"Wx15 1/4"H with sign in hand. Sign: 3 1/4"Wx10 1/4"H. We hope this information will be of help to you.